Here in Gainesville, Florida it is rain, rain and more rain. For gardeners this means lots of plant growth and I’ve been busy keeping the verdant green from swallowing us! Our avian families of Cardinals, Downy & Red Bellied Woodpeckers, Titmice, Chickadees, House Finches, Blue Jays, Carolina Wrens and Brown Thrashers are eating us out of house and home, but entertaining us as we watch the daily cafeteria rotations at the feeders from our dining room table. 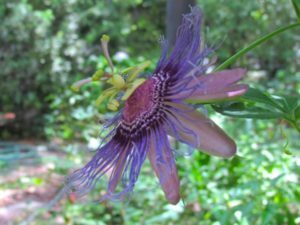 My garden is resplendent with pink rain lilies this year, and I’ve got my passion flowers on a vine covered trellis sporting Zebra Long Wing and Gulf Fritillary caterpillars. Right in time for all the emerging butterflies, the purple ironweed burst into bloom. I’m even seeing those magnificent Tiger Swallowtails laying eggs on my citrus leaves. 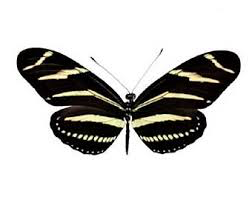 Even though it is hot and humid, it gives me great pleasure to take breathers in the wild space in my front yard to observe the bumblebees, bees, wasps, moths, dragonflies, butterflies birds, squirrels, and the occasional crow or hawk fly over. The life of this little garden is enough to lift my heart on any day. 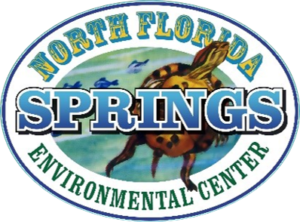 Florida Springs Institute in High Springs. We are learning a lot about many of the issues impacting the quality of Florida’s water, the complexity and magnitude of the problems we face, and some of the things citizens can do to help protect this precious resource. We will all be better advocates armed with this knowledge. If you live in the area, come over to the institute the first Tuesday of each month for a one hour lecture at noon (suggested donation $5). You’ll meet some very interesting and knowledgeable people, and even get a chance to converse afterwards over lunch at the Great Outdoors Cafe. Water quality should not be a partisan issue: EVERYONE DRINKS WATER! One of the most rewarding things about being a songwriter is having someone else love your song enough to cover it! 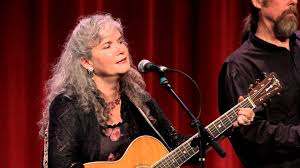 What a great surprise to discover that Elisabeth Williamson with The Gatorbone Band sang “When My Mother Sings” at their recent CD release concert at Heartwood Soundstage. To have these phenomenal musicians embrace this song which I co-wrote with my dear friends the late Penny Nichols and Lisa Aschmann is a great honor and makes me feel giddy with excitement! Elisabeth (Lis) Williamson is planning to include the song in her regular repertoire. 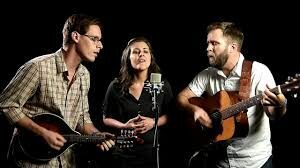 She also just informed me that her band, The Driftwoods, is also interested in covering “Dust Tracks in the Road.” I simply can not imagine a more beautiful voice to sing these songs. Thank you Lis! 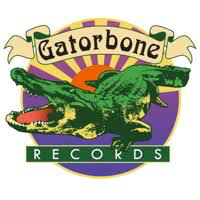 You may recall that Lis and Lon Williamson founded the Gatorbone Record Label. Both RISE and REACH FOR THE STARS are on the Gatorbone Record Label. 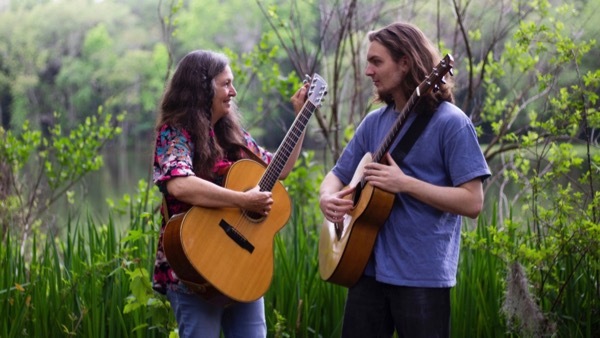 Members of the Gatorbone Band (Elisabeth Williams (vocals, banjo, high strung guitar) & Lon Williamson(bass), Gabriel Valla (guitar, mandolin,mandocello), and Jason Thomas (fiddle & mandolin) contributed to tracks on both albums which were recorded at Gatorbone Studios. Back by popular demand: I am planning on teaching another six week songwriting course for women through Siren’s & Strings Guitar Academy. We plan to meet once a week for 1.5 hours, and all that is needed is paper, a pen, an instrument of choice, and the will to write a song. 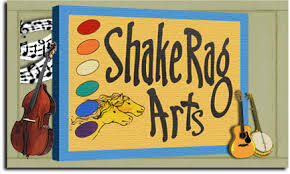 All levels are welcome and class size is limited to ten participants. We’ll explore various aspects of the songwriting process in a supportive and nurturing environment. 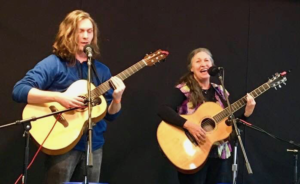 The goal for the class is for everyone to write a song and perform it in a class concert at the end of the course. If that sounds scary, relax. I will gently guide you through the creative process. You’ll have loads of fun and emerge with something beautifulI As a class we’ll support each other through the process of crafting each song until it shines. The class is fun, intense, exciting, and fulfilling. We had a ball last time. Everyone was fully engaged in the process and wrote wonderful songs. I expect to see many of the same faces again along with some new talent. We are still working on the place and time, but if you are interested in participating in the class please contact me right away at elainemahon@mac.com. I’ve booked the 2018-2019 for Sandhill Stage and it is a great lineup! 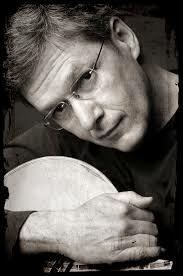 To learn more about all the wonderful artists coming to Sandhill Stage please sign up for the Sandhill Stage newsletter or check out our Sandhill Stage Facebook page. My son, Sam and I will be playing there in December as part of a double header with the fabulous acoustic trio The Belle Hollows. It will be a night of family harmony. We are very excited to be part of this show, and hope to see you there! As many of you know, my son, Sam Mahon, graduated from UF in Biochemistry last semester. Sam will begin EMT training in the Fall. In the meantime we have been working hard on guitar and harmony arrangements for many of my songs which we hope to be sharing with you soon. I can’t tell you how much I enjoy playing with this guy. Not only does he have a great ear, but he inspires me musically. His creativity blows me away. Please check out our evolving Fall Schedule below. We’d really love to share these songs with you so mark your calendars! We are super excited to be opening this show. Pierce Pettis is an absolutely stellar songwriter, guitarist and performer!